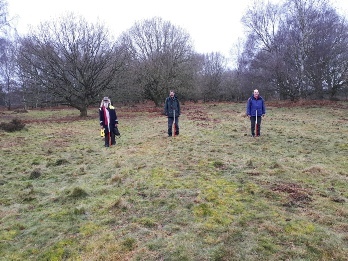 Mercian Archaeological Services CIC are proud to be running the Sherwood Forest National Nature Reserve Archaeology Survey. As home to the Major Oak, Legendary hideaway of Robin Hood, the Sherwood Forest National Nature Reserve is famous around the world! The National Nature Reserve is actually in two main parts, the ancient woodlands of Birklands and Bilhaugh to the south - home of the Major Oak, and the large expanse of ancient lowland heath to the north known as Budby South Forest. In medieval times Sherwood Forest was characterised by these two landforms of woodland and heath. This was the landscape of the great medieval hunt. It was the landscape of wilderness and chase that attracted the Kings of England for sport and pleasure, and also offered the hideaway of the medieval outlaw. The landscape of the Sherwood Forest National Nature Reserve was also used by people to graze animals and at times to grow crops during the medieval period. This survey will search not only for evidence of medieval activity, but will also investigate the landscape from Prehistoric and Roman times through to the more recent activity in the Second World War and the use by the army. 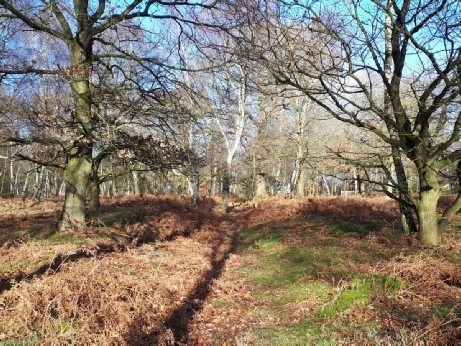 Birklands Wood was Crown woodland in the heart of Sherwood Forest in medieval times, and is home to nearly 1000 veteran Oak Trees, and Budby South Forest is the largest area of lowland heath in the Midlands. 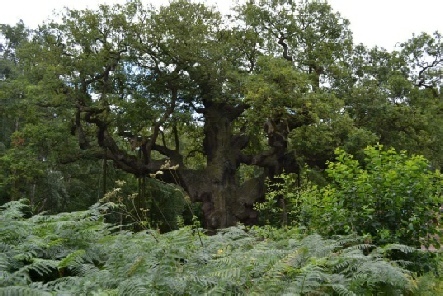 Photo: The Major Oak in The Sherwood Forest National Nature Reserve. © Mercian Archaeological services CIC. Photo: Budby South Forest, The Sherwood Forest National Nature Reserve. © Mercian Archaeological services CIC. 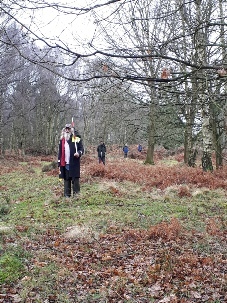 Photo: Possible medieval holloway in Birklands wood recorded as part of the project using survey grade GPS and total station to create 2D maps and 3D models. Birklands wood, in the Sherwood Forest National Nature Reserve. 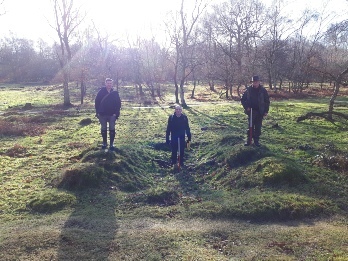 The project seeks to map, record, interpret and help to protect the archaeological resource in the ancient woods of Birklands and Bilhaugh and the ancient heathland of Budby South Forest. 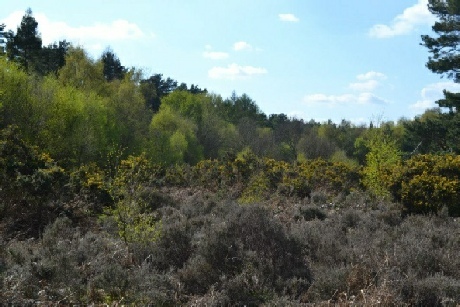 As well as forming part of long-term research into the landscape of Sherwood Forest, the project is designed to provide high quality archaeological recording and reporting to enable the future management of the archaeological resource of the Sherwood Forest National Nature Reserve by the site managers the RSPB. The project in Birklands has been undertaken in 2018 with the support of the Sherwood Forest Rangers at Nottinghamshire County Council, and will continue over the coming years alongside the RSPB who take over management of the site in October 2018. 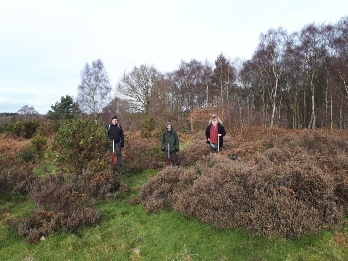 The survey in Budby South Forest was undertaken with support from the RSPB who have managed the site there since 2015. Recording a linear bank and ditch on Budby South Forest in the Sherwood Forest National Nature Reserve. Recording a linear bank on Budby South Forest in the Sherwood Forest National Nature Reserve. 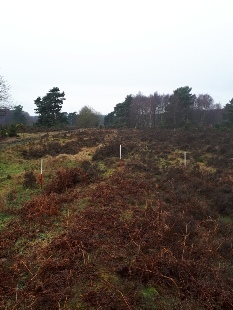 Recording ridge and furrow on Budby South Forest, Sherwood Forest National Nature Reserve. Recording a military pit in Birklands Wood in the Sherwood Forest National Nature Reserve. 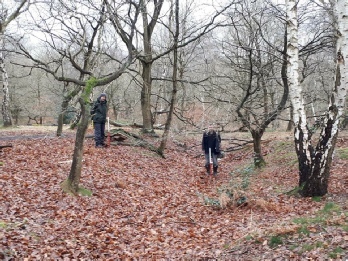 Recording a military pit on Budby South Forest in the Sherwood Forest National Nature Reserve. 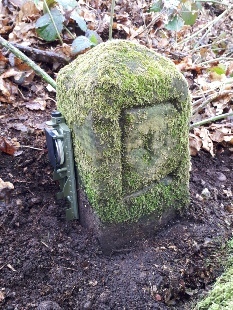 Edwinstowe boundary stone with carved letter ‘E’ in Birklands Wood in the Sherwood Forest National Nature Reserve. Recording a medieval holloway in Birklands Wood in the Sherwood Forest National Nature Reserve. 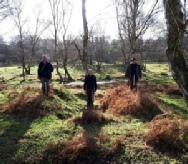 The Sherwood Forest Archaeology Project combines community archaeology, research and outreach work- that promotes the archaeology, history and heritage of the wider Sherwood Forest, its landscape and people. See the Sherwood Forest Archaeology Project page for further details. 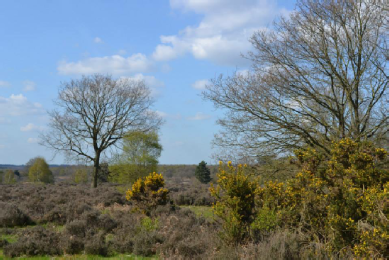 All reports from the Sherwood Forest National Nature Reserve Survey are made available for FREE o the community via the links below (as they become available). The reporting and dissemination of archaeological work is essential and all reports are logged via the OASIS archaeological database and Archaeological Data Service, and logged with the Historic Environment Record for Nottinghamshire. The following reports form part of a long-term research project and are all written to the standards and guidance of the Chartered Institute for Archaeologists and Historic England, and adhere to Archaeological Best Practice to ensure the highest possible standards are achieved. A Desk-based Assessment of Budby South Forest, Sherwood Forest National Nature Reserve. Budby, Nottinghamshire. 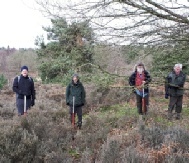 Part of the Sherwood Forest National Nature Reserve Archaeology Survey. The RSPB have been managing the site of Budby South Forest since 2015. 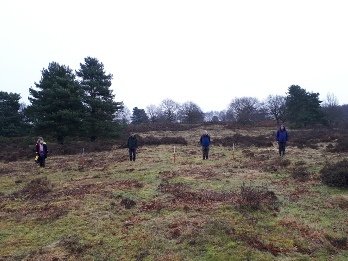 This report was commissioned by the RSPB to provide a greater understanding of the archaeological resource within Budby South Forest SFNNR and to aid in the management of the site.